Harrisburg, Penn. 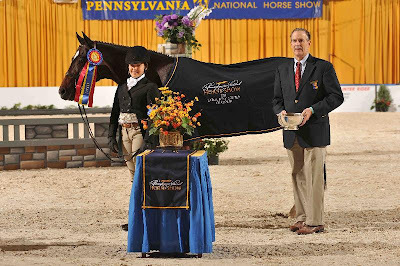 - October 15, 2010 - The 65th annual Pennsylvania National Horse Show welcomes riders from across the nation throughout the 10-day competition. Today's Junior Hunter Championships concluded with winners hailing from both East and West Coasts! The Small Junior Hunter - Riders 15 & Under Championship was sponsored by SBS Farm & Susie Schoellkopf and was won by Falcao ridden by Hasbrouck Donovan of Gainesville, Fla. The flashy bay gelding is owned by Don Stewart, Jr. and has been paired with Donovan since January. Reserve champion was Stratford Stables' Huntington, ridden by Kristen Lutz. The Small Junior Hunter - Riders 16 & 17 Championship was sponsored by Stolzmouse Enterprises and won by the West Coast pair of Caretano and owner-rider Hannah Goodson-Cutts. Reserve champion in the division after a ride-off was Jukebox Hero who is owned and ridden by Margaret Oberkircher. The 17-year-old Los Angeles rider, Goodson-Cutts was pleased with the results of her first trip to the Pennsylvania National Horse Show. "This was our first time doing indoors and he was great. He's been champion at nearly every show this year. 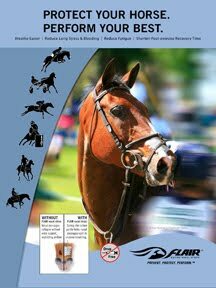 Caretano was a grand prix horse when we got him from the Dobson Family and Carrie Porter in 2009. You have to ride him with a strong arm and stay soft to keep him calm," she explained. 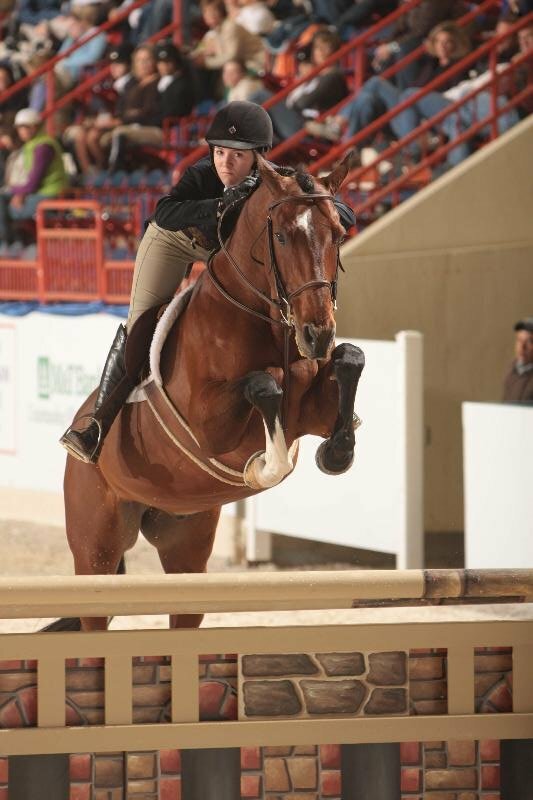 Trained by Kate Considine and Carolyn Becker, Goodson-Cutts is one of the top West Coast junior hunter riders. 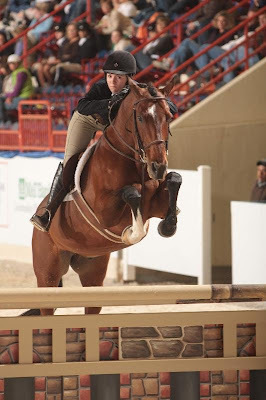 "My focus is on riding hunters, versus equitation and jumpers. 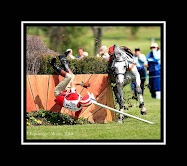 I ride in the equitation classes to practice and I've never done jumpers. I really like the hunters and have another year as a junior rider." In the Large Junior Hunter - Riders 15 & Under Championship sponsored by The Bedard Family, the tricolor was presented to Dr. Betsee Parker's Way Cool. A frequent visitor to the winner's circle, young rider Victoria Colvin of Loxahatchee, Fla., recently turned 13, and will have a long junior career and many more victories ahead of her. Reserve champion was the entry of First Partners LP, Savant, ridden by Catherine Tyree. K & S Show Services' Garfield and Samantha Schaefer earned a championship victory for the third year in a row at the PNHS, this time in the Large Junior Hunter - Riders 16 & 17 Championship. "Garfield loves to show and has a great expression in the ring. We keep him fresh and don't over show him," said the 17-year-old from Westminster, Md. California's Hannah Goodson-Cutts returned to the ring to ride Leroy Brown to the reserve championship honors. Junior weekend continues with Saturday's Family Day, October 16 with free pony rides and face-painting from 1 to 4 p.m. Competition will include Pony Hunters and the Randolph College/USEF Junior Jumper Individual events on Saturday, and Sunday's USEF/Pessoa Hunter Seat Equitation Finals Presented by Randolph College.